Is this in stock? Can you ship it to sweden? As the stock status on the product page shows, yes these are in stock. We ship worldwide. Will this work with a 650c x 42mm tire? You should be able to use this without an issue. Another question please : which is the thickness of the material ? Hi, that looks like a typing error. 353 mm is more like the radius. Thanks for pointing it out. Are They As Pictured? I.E. 2 Rear Mudguards? How Long Are They? They are as pictured but one guard is slightly longer than the other which you can't really see in the image. The shorter one is 110cm long and the longer one is 113cm long. Carbon Guards For 700C Wheels? I run 700c x 40mm tyres, and am looking at some 700c x44mm tyres, do you have any plans to provide carbon mudguards for wider tyres on 700c wheels? These carbon mudguards are actually old stock so there are no plans to have more produced or any different sizes currently I'm afraid. Hi, do you recommend any specific hardware for mounting these mudguards? 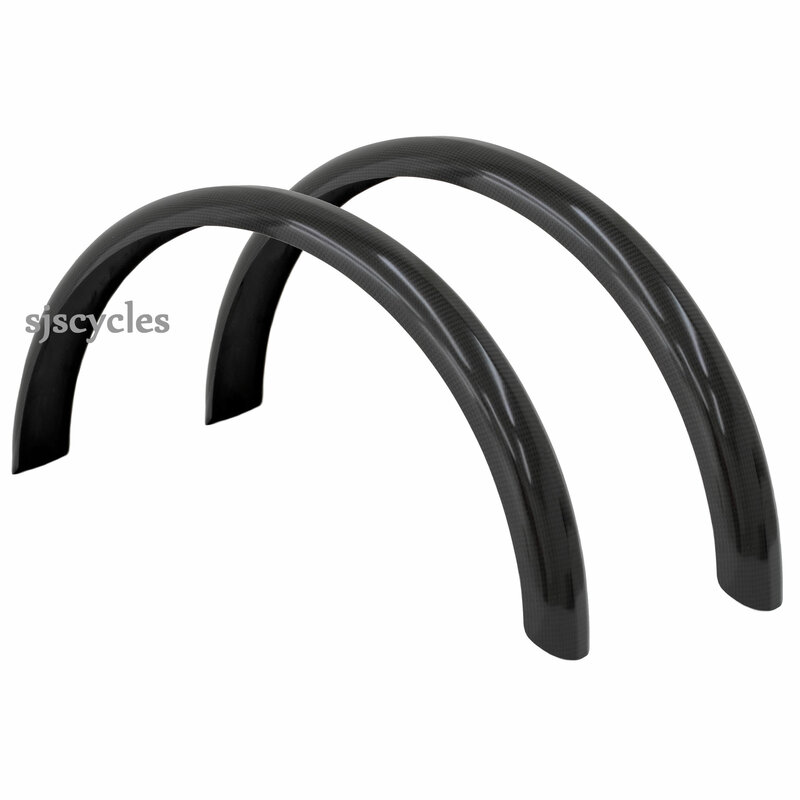 The best match for the fittings for these mudguards would be the same as used on the SKS Chromoplastic mudguards. You would require the fitting kit, mudguard bridges and the L shaped fork crown mounting parts to fully fit. What is the inner and outer radius of these blades? The width of the guards is 68mm and the radius of the blade across it is 313mm.